Outdoor enclosed space outside Kaufman. 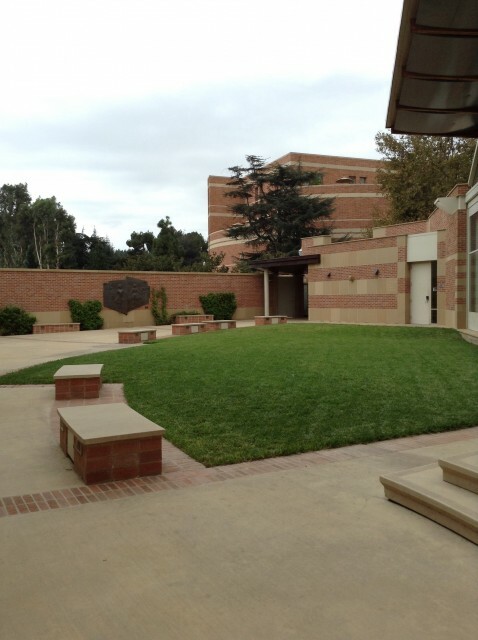 Grassy area and stone benches to sit on. It's super nice and accessible by entering through back gate.